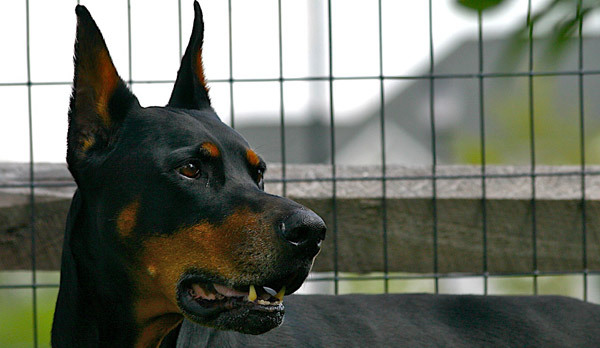 There are a variety of different ear shapes and sizes in the canine world. Here are some of the basics with brief descriptions and examples of breeds with each ear shape. Large in proportion to the head & upright. 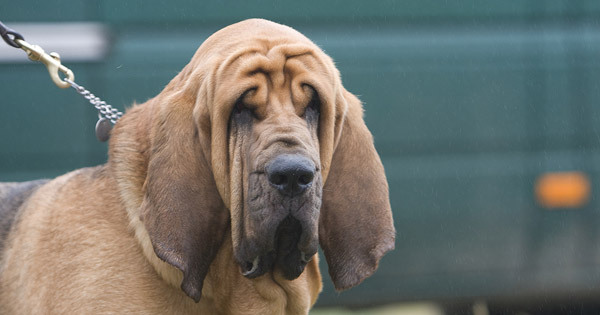 Large, upright ears with blunted or rounded tips. A small semi-erect ear with a front flap that folds forward nearly to the skull obscuring most of the ear canal. 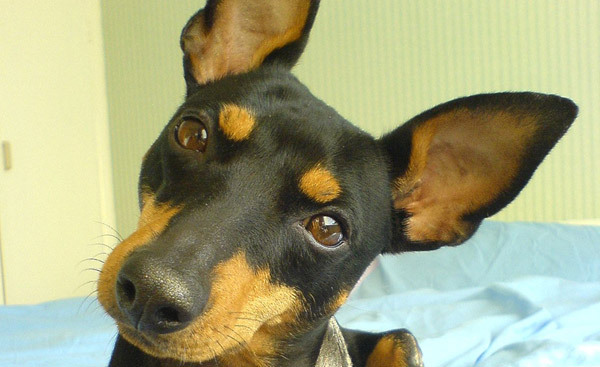 Specific ear type of the English Toy Terrier breed. An upright prick ear that folds over slightly at the tip. Can be expressed in a variety of shapes & lengths and specifies only that the ear hang down from their junction with the side of the head. An unusual shape to find and named because the ears have the shape of a hazel nut or filbert. Pendant ears that hang in folds rather than hanging flat. Small ears that curve inwards from both edges. Sharp and pointed ears that stand erect. Can be natural or done by cropping. A small drop ear that folds backwards. Longer, triangular shaped ears that are usually (but not always) dropped. 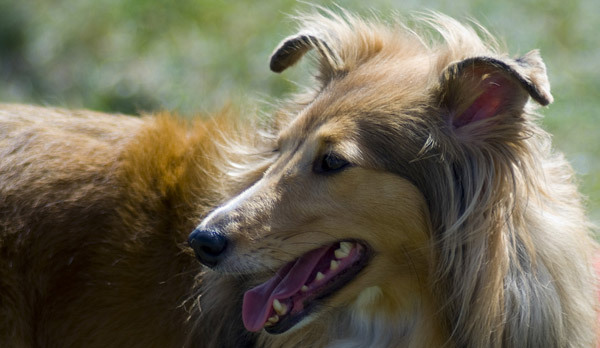 There is quite a bit of conflicting info when it comes to dog ear types and shapes. We did our research, and took what we could from available info. Be sure to check out the ear shape cheat sheet & feedback is always welcome from readers in the know. Pointy eared dogs are the best, in my opinion. Tee hee. I like the type of ear that erect on one side and floppy on the other. I think thats the cutest! This helped alot though, thanks! I’m scared that the Pit bull requires a particular sort of operator…these pet dogs, no matter how ‘trusting’ nevertheless have teeth, are still animals not having moral principles and once they DO bite, won’t let go. As in all animals…some often be a lot more suseptable to instinctual habits and time and time again, this breed tends to accomplish just that. 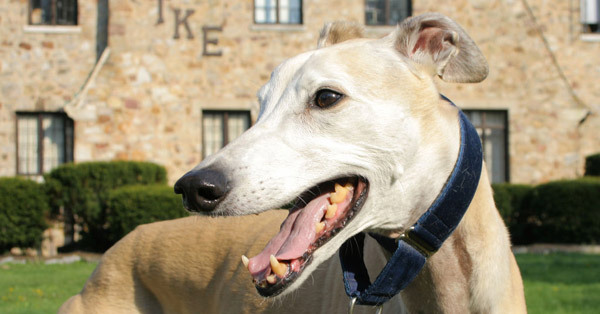 I love pointy eared dogs the best! Rose ears are by far the superior type of ear. This is well known. Thank you for putting this up! I have been trying to find what my dog’s ear type was- Button/V-shaped. 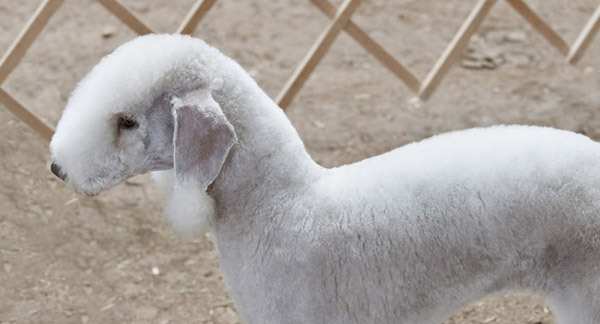 Different ears for different dog breeds–they’re all so cute n’est-ce-pas? Rose ears are the cutest! I love all the pointy ears!! Excellent site showing and explaining dog ear types! Thank you. 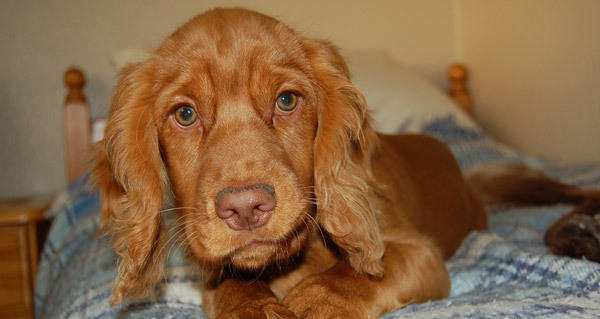 That Vizsla picture is the cutest!! Soo… How do u tell the difference between the candle flame, prick, and hooded ear? Button ears are the cutest by far. And so are the wire-haired long legged Terriers. My dog has button ears that are a little longer than the Jack. But the thing is they can pop up straight, prick, like the corgi, and each ear can rotate, probably 90 degrees independently. Do corgis’ do that? I saw her standing next to a corgi and both had one ear up–they looked like cousins, although the face is the only part of Lucy that is at all like that breed. I am just trying to get to the bottom of her background, and it seems like the ears are a feature of something unique. Thank you for taking your time to publish this. It has been a great help. Although I don’t have favourites as such I do like Button Ears on pugs. Well Ward, you are scared alright. Have you ever been bitten by a Pitbull? By ANY dog? Do you know somebody who has been? Most likely not. Try Educating yourself. Responsible Pet ownership is the key to a society that lives in harmony. The Pitbull breeds are gentle and playful dogs. Please take a look at all the thousands of Pitbulls who are severely neglected and abused, starved, beaten and have earned every right to bite, yet they do not. You never hear of these dogs. They suffer and die without their sad stories all over the media. Do a search for Patrick on Google. Educate yourself, your fears will go away. This is a very good article on ears, by the way. 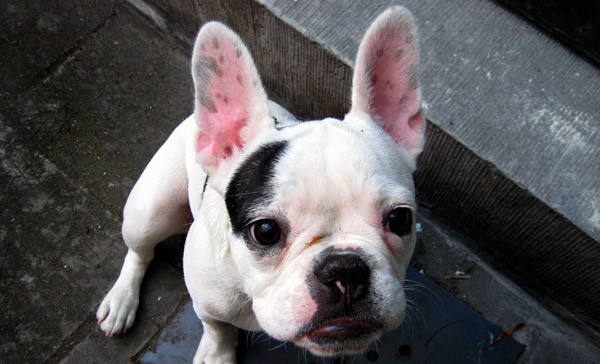 You might want to rethink the Bat Ear and Blunt Ear pics and example dogs, since French Bulldogs are well known for their Bat Ears. Yes, bat ears are a subset of blunt ears, but the AKC describes Frenchies as having “trademark” bat ears. I’ve never heard Chihuahuas or Corgies described as having bat ears, and Chihuahuas generally have pointed upright ears. So, can’t quite work out if my Beagle is meant to be Dropped Ear or V shaped ear. He’s still the best dog ever no matter what his ears are called! Also, why oh why do people still crop the ears of some breeds? It’s unnecessary and adds nothing to their appearance. My dog has upright ears but they sometimes cross at the tips. Any idea what kind of dog she is? She has some shepherd but I think she might be some kind of terrier as well. I’m a drop ear man myself! this was a big help. i rescued a dog from the pound and have no idea what he is except he looks like he might be part cairn (brindle and coat texture) scnauser (build and slight underbite) and those ears…!!! he has ROSE EARS so now i know he may be part bulldog or greyhound/whippet…sweetest little boy! I keep seeing a small dog on TV that has a kind of furry, round face and very round ears set close to head. Any idea what breed he is? Thank you. This site/article is very helpful. I think my little fox terrier has candle flame ears. I’ve been learning about him everywhere possible because he was an abandoned dog that I rescued three years ago. He has been the most wonderful family member! I had never even heard of the Rat Terrier Breed before “Foley” came into my life. He is the most loving, cutest, quirkiest little rascal. I just adore him. Great article. Thank you, again. Ditto what Kim said about pitbulls. There are some wonderful, loving pitbulls out there. I was bitten by an Akita which made me a bit skittish for awhile around all big dogs but I never blame the dog – and I feel for all the pitbulls that are great dogs but are getting banned because of the bad rep. The bad owners who abuse them to make them aggressive should be banned, not the dogs. Our society should have more severe consequences for those owners for the sake of both society & the breed. AND – great article on ears. Loved the pics! English Mastiff ears, although adorable, are deep caverns and can be really smelly and dirty at times. They are prone to yeast infections. I switched mine to a grain free diet and have on occasion used Monistat 7 to clear up any infections. Works like a charm. Wish there was a way to pin them up for short periods of time so they can get light and air. I do clean his ears frequently too. Want to thank all of the “smart” people standing up for the pitbulls, I have volunteered at countless pounds, sanctuaries,etc with animals, am a certified Vet. Assit. am working with a Vet right now for a vaccine clinic, have 6 rescue dogs all from very bad backgrounds, 2 pitbulls, terrier,chihuahua,min pin,basengi.The greatest myths of pitbulls is they lock jaw when they bite, not true! I have been bit several times by little dogs, love them and are deemed more snippy because they are so small they feel they have to protect them selves more diligently from being stepped on, kicked accidently,etc.If pitbulls were so bad even after being in abused situations, then why did the majority of Michale Vicks pitbulls get adopted out and passed all their behavior tests with flying colors, you can change dogs way more/easier than you can change people,mmmm wonder why I want to work with animals the rest of my life, they atleast aren’t ignorant!One of the best books or pitbulls to educate yourself with would be Oogy the pitbull that was used as a bait dog!! !God put me on this earth to educate humans on how to treat and love his creatures,especially pitbulls,they need us to advocate for them probably more than any other dog! I love the drop ears! Nothing cuter than a Basset, Bloodhound or Black and Tan Coonhound! A word about Pitbulls, they are just as sweet as any other dog, it’s all in the way they are brought up. I know many wonderful Pits, and it breaks my heart to see them stereotyped. All they ask for is to be loved. Ward’s an a@@ who knows nothing about dogs. Yes, the breed is suseptible to particular training, but it’s the human who does the imput. Pit bulls can be the ideal family\watch dogs. I’ve seen them love and protect small children. In other words…garbage in garbage out…love in love out. My dog has floppy ears and has never had an ear infection in his 4 years of life so far. Floppy-eared dogs are the best!!! 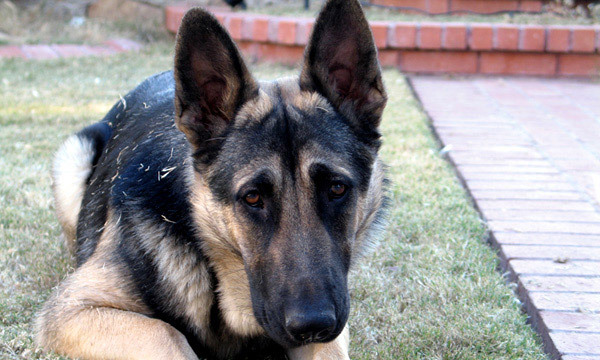 For those who don’t want a flop eared dog due to ear infections – that is easily controlled. First, make sure it’s not a mite. If clear, then buy an ear cleaner made for dogs. Clean the ears well, following the directions. Then keep the ears clean. Also, fold the ears back to make sure they are thoroughly dried after cleaning ears – either with the product or a bath. I’ve had MANY flop eared dogs. In fact, they are my favorites. Out of all those dogs in all these years (talking over 60 years), only one flop eared dog had the issue. I learned from the vet how to care for her ears: End of infections. I’ve now got two more flop eared dogs and fostered many more. She was the exception – not the rule – regarding ear infections. Regarding pit bulls: They can be VERY loving and sweet natured dogs. Meanwhile, I can also understand people’s fear of them, so I don’t condemn them or judge them harshly. We have two pit bull mixes in the family. One is the dog EVERYONE else wants due to his calm demeanor and good behavior. BUT, he was also very well trained by my son in law, who is a good, responsible owner (and a rescuer). Since the dog is pit/boxer and has a boxer face, due to people’s concern, we’ve told them the dog is a boxer mix. It’s interesting response, as it’s the same dog and suddenly they relax. 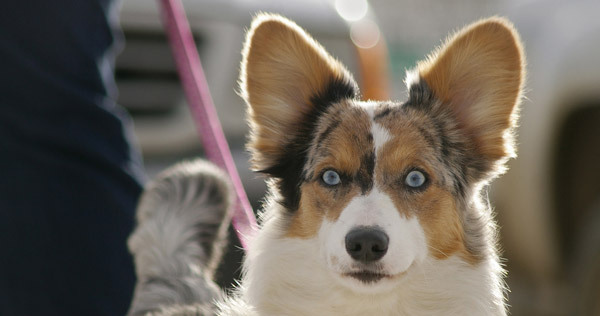 They rescued a second dog – who was part Corgi. It was the Corgi-mix that was returned for biting – a bite so bad, my daughter was in the hospital from it! When we’re out, again, due to some people’s reactions, some are told he’s a small great dane mix (funny what people will believe….) It’s interesting to see them relax and accept the dogs. But if pit had been mentioned, I’m sure the police would have been called on sight alone, in some cases. Before they adopted these two goofs, I was apprehensive about pits. When I was told what they were adopting, and had a small child, I was scared out of my mind, but kept my mouth shut. I’ve since learned not to judge a book by it’s cover – and regularly now ‘baby’ sit my two grandson pits…and simply adore them as well. The point is this: I judge neither the people nor the dog. Until people have up front experiences with a pit who doesn’t bite or isn’t in the news (which most aren’t, by the way), people will have the reaction they have. Back when I was a kid, it was the German Shepherd everyone feared. Every guard dog was a shepherd. I was so afraid of shepherds, I avoided them at all cost: Until I adopted one as a puppy (not realizing she was a shepherd mix – mom sure wasn’t shepherd!) Within a few weeks, those ears began to stand up and she took on her German Shepherd form – just in a smaller body. The end of the story: Smartest and best darned dog EVER! One thing that has NOT changed is I do NOT like idiot owners who: Don’t take the time to properly TRAIN their dogs; Get a pit (or German Shepherd, Rottie or Dobie) because they want a ‘mean’ dog; Breed without regard to the dog; Let their dogs run loose and poop where ever without regard to the community. I just got a puppy, she is supposed to be full bred Chihuahua, but ive had friends tell me she is not a full bred Chihuahua. And in curious as to find out what she is part of. Her ears don’t stand up and she is now about 15 weeks old. This is exactly what I call quality content. This person really knows how to keep visitors on their page. The subject is helpful and well thought out. In my opinion you need to do more posts like this. I’m actually delighted I came across this posting. It’s well written and the content is excellent. I am hoping to find more like this. I have the best of both worlds— my adopted (probable) basenji/ pharaoh hound mix has one up and one down, unless he is very intent on something. Then they both go up? I have no idea what kind of mix my rescue dog is. But now I know that she has button ears, which are soooooo cute! So, I’m thinking there is some Jack Russell there (she also hunts mice!) Who knew there were so many names for ear shapes! Thanks.